Donar Player is a music player from Donarzone.com which provides you with a great experience managing and playing your music files in different formats – MP3, MP4, MPC, FLAC, OGG, WAV, WMA etc. Donar Player is a very “sociable” player which you will learn to use and appreciate very fast due to its user friendly configurable interface. 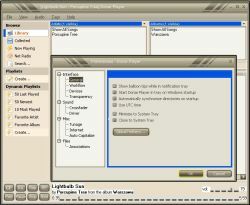 Its theme editor offers a wide range of interface colors from which to choose. Donar Player employs dynamic playlists which automatically keep track of your most played and newest songs as well as favorite artists and albums. You can use Global hotkeys combinations for a quick control and management of the player. 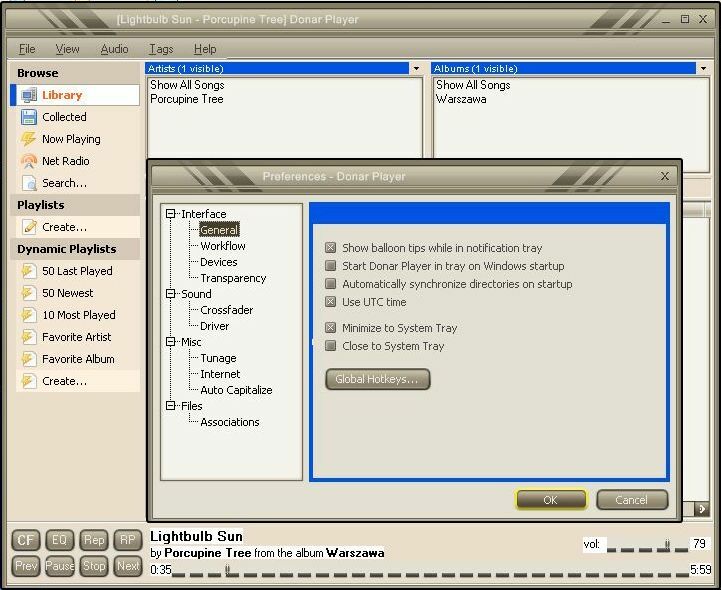 Additionally, the program pops up balloon tips while in system tray, allows both sequential and random play provides seeking tasks, volume and balance adjustment, playlist editing. Moreover, it supports FreeDB as well as a tool to edit tags and a drag-and-drop window. It also features an inbuilt radio. The player can be minimized into tray icon rather than in task bar. Donar Player plug-ins push Donar’s functionality even more: the miniplayer feature allows you to manage your tracks while still having the Donar Player icon available in system tray; it also has Winamp window event emulation plug-in (when enabled, Donar Player pretends to be Winamp).This plug-in is great if you want to enjoy programs intended for Winamp such as Evil Lyrics and Foxy Tunes. Quite ingeniously, Donar Player introduces a stylish transparency feature which lets you configure the player’s appearance by adjusting a wide transparency range. This very flexible music manager can be set to automatically start in tray at Windows start up and to synchronize directories on start up. 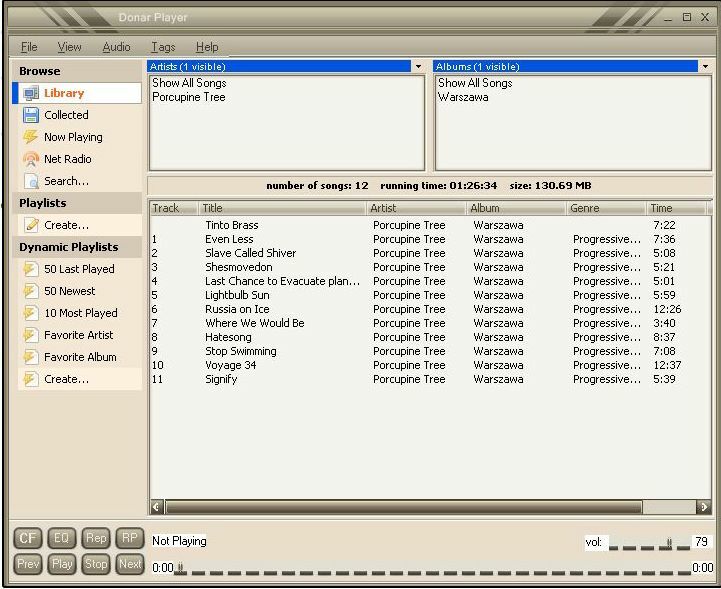 Apart from this, Donar Player enables rating to any song and every time you choose to delete a file you can either delete it only from the library or from your computer. Donar Player is FREE to download and FREE to use! NO Adware or Spyware included!